Last month, for the first time, the ministry of science named and shamed companies that have broken the sharing regulations that the government introduced in 1998. 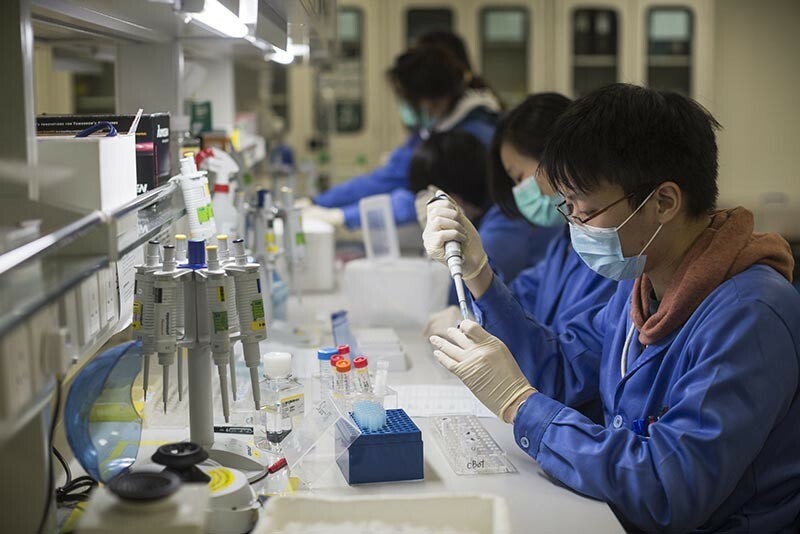 Five companies and one research hospital were rebuked for transferring human DNA samples or genetic data to other entities in China or outside the country, without permission from the ministry’s human genetic resources office. It is not clear why the ministry released details of the breaches now — some as recent as this year, others a few years old. Global pharmaceutical giant AstraZeneca, which has a research centre in Shanghai, was caught earlier this year transferring samples — used to create diagnostic tests for predisposition to breast cancer — to two smaller Chinese companies, Amoy Diagnostics in Xiamen and Kunhao Ruicheng in Beijing. AstraZeneca was authorized to collect the samples, but the company says it did not know that it needed permission to transfer the material to another party in China. The regulations require government authorization for anyone who wants to transfer human DNA samples or share genetic data. Permission is also required to publish these data in international journals. The ministry says genomics giant BGI in Shenzhen and Shanghai’s Huashan Hospital were caught breaking the rules after they put genetic information online without approval. The data was part of a large international study on the genetics of depression, which was published in Nature in 20151. The paper was based on anonymized sequence data from more than 10,000 Chinese women, which BGI acknowledges it did not have permission to publish in paper's supplementary material. A spokesperson from BGI says the company has destroyed the data, as request by the ministry. They say the company has also requested Nature remove the article from its website. It remains online. A spokesperson for Nature would not comment on the matter. (Nature’s news team is editorially independent of its journal team). Scientists and policy experts are worried that the government crackdown might deter researchers from sharing genetic data collected in China. “At a time when transparency, open access and sharing are high priorities, enforcing the 1998 rules obviously seems to be going in the opposite direction,” says Nicholas Steneck, who studies research integrity at the University of Michigan in Ann Arbor. Many countries control how their citizens’ genetic material and data can be collected and shared, mainly to protect people’s privacy and ensure that samples are gathered with informed consent. China’s rules are also meant to regulate how foreign companies collect and use genetic information, to make sure that the country reaps some of the profits from patented discoveries. Although the rules are supposed to have minimal impact on research, scientists say that complying with them is creating obstacles. For instance, an international collaboration investigating genetic samples from more than 140,000 pregnant Chinese women had to send a data analysis expert to China because thedata could not leave the country, says collaboration member Anders Albrechtsen, a geneticist at the University of Copenhagen. Because Albrechtsen was based outside China, he could not access the data and had to provide mathematical models and software without them. “This project was particularly tricky,” he says. The group — which included researchers from BGI — did not try to get approval to publish the anonymized genetic data. Instead, in a paper published in Cell in October2, it included a disclaimer saying that the authors can only share summary statistics with other researchers. The president of BGI Research, Xu Xun, a co-author on the paper, says the team feared that it would have taken too much time and effort to get permission to share the raw sequence data. He also thinks that sharing population-level statistics is sufficient. Geneticist Paul Flicek of the Wellcome Sanger Institute in Hinxton, UK, thinks it is reasonable for governments to require approval to share genetic information, but that “if the process of applying for permission is onerous or time consuming, this will have a detrimental effect on data sharing”. Flicek says that researchers should make every effort to share data, and that journals should push them to do so. If China continues to enforce its regulations, genetic research in the country could become isolated from international groups, says Arcadi Navarro, a geneticist at Pompeu Fabra University in Barcelona, Spain. He thinks sharing raw data should be a requirement for publication, because checking that information is how scientists verify and build on results. “There is no science without sharing,” says Navarro. The Cell paper is “an example of how things must not be done”, he says. A spokesperson from Cell says that in general, the journal requires that the data behind publications be made available, but its policy acknowledges the need to respect the regulations and guidelines of relevant review boards and national bodies, as well as laws related to patient privacy and personal data. The journal asks authors to disclose potential data-sharing restrictions at submission, and considers them on a case-by-case basis. China’s science ministry did not respond to Nature’s questions about whether its restrictions impede research, or about the timing of its announcements concerning the companies that have broken the rules. In its announcement, the ministry did say that as punishment for their breaches, BGI, AstraZeneca, Huashan Hospital another company found in breach of the rules, Wuxi AppTec, had been banned from participating in international collaborations that use human genetic resources until they passed a data-privacy examination. BGI and Wuxi say they passed this in 2017. AstraZeneca says it is working towards its re-assessment now. The two smaller companies, Amoy Diagnostics and Kunhao Ruicheng, received a warning. Both BGI and AstraZeneca say that they accept the government’s penalties and support the country’s attempts to protect the genetic resources of its citizens. Although the penalties set back certain research projects, the companies say that overall they have not had a large impact on their research. Nature’s attempts to contact the Huashan Hospital were unsuccessful. But Steneck thinks that the rise of nationalism in many countries means that governments will increasingly protect their national resources, including genetic data, even if it means slowing the progress of science. CONVERGE consortium. Nature 523, 588–591 (2015). Liu, S. et al. Cell 175, 347–359 (2018).